In 2011 a Memorandum of Understanding was signed between the Geosciences Department of ENS and the Observatory of Etna (Italian National Institute of Geophysics and Volcanology), for exchanges in the field of education and research. There are several ongoing multidisciplinary research programmes in particular for the study of the ground deformations using satellite geodesy and for the study of the volcanic emissions and their impacts. Other French laboratories are associated to these collaborations, in particular the Blaise Pascal University (Clermont-Ferrand) and the Institut de Physique du Globe (Paris). 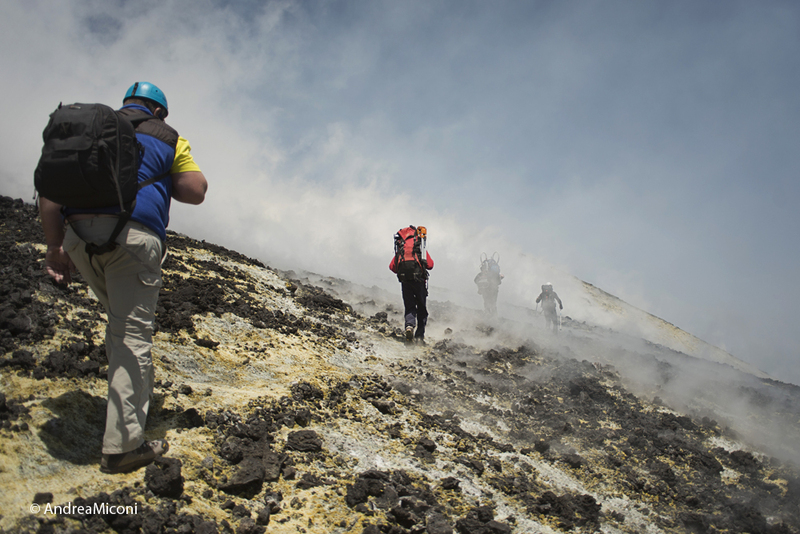 Various experiments were set up to analyse the properties of the volcanic gasses and aerosols and their impact on the atmospheric chemistry and climate processes. These activities have been gathered in a multidisciplinary research cluster called EtnaPlumeLab (EPL). 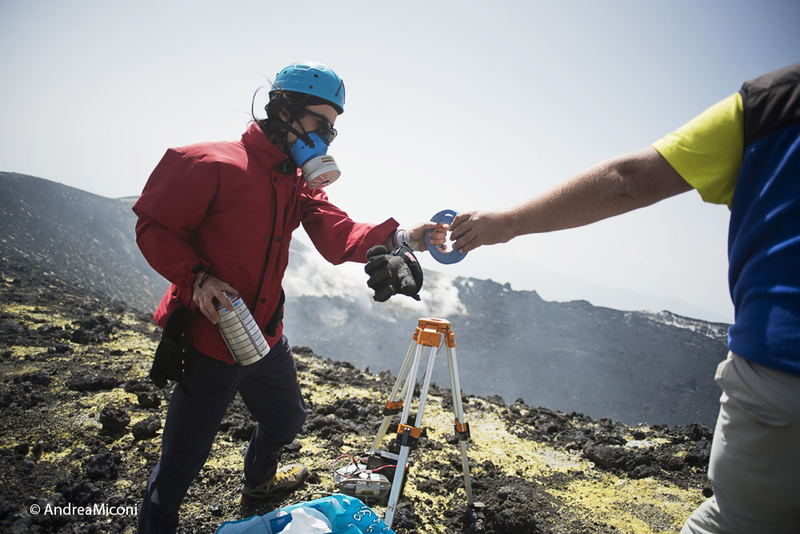 A team is currently in the field to perform the characterisation of the radioactivity of the volcanic plume, its chemical composition and micro-physical properties. This component of the EPL research cluster, named EPL-RADIO, has been launched by the EU FP7 project MEDSUV (http://med-suv.eu) and is now one of the partially supported Transnational Accesses to the Mount Etna INGV Observatory platform, in the framework of the H2020 ENVRIplus project (http://www.envriplus.eu/). Four campaigns are planned (summer 2016: campaigns C1 and C2; summer 2017: campaigns C3 and C4). 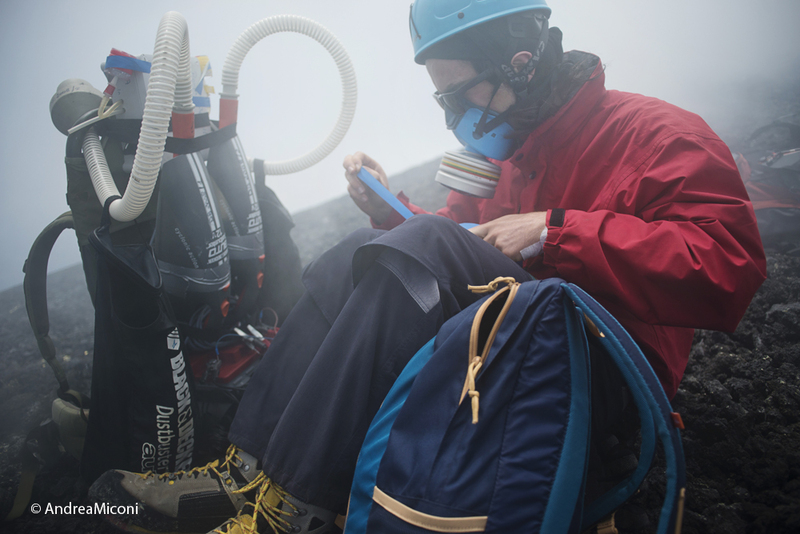 After several days of bad weather, the team was able to successfully perform measurements at the top of Etna on Thursday 30 June (photos by Andrea Miconi, http://www.andreamiconi.com/). 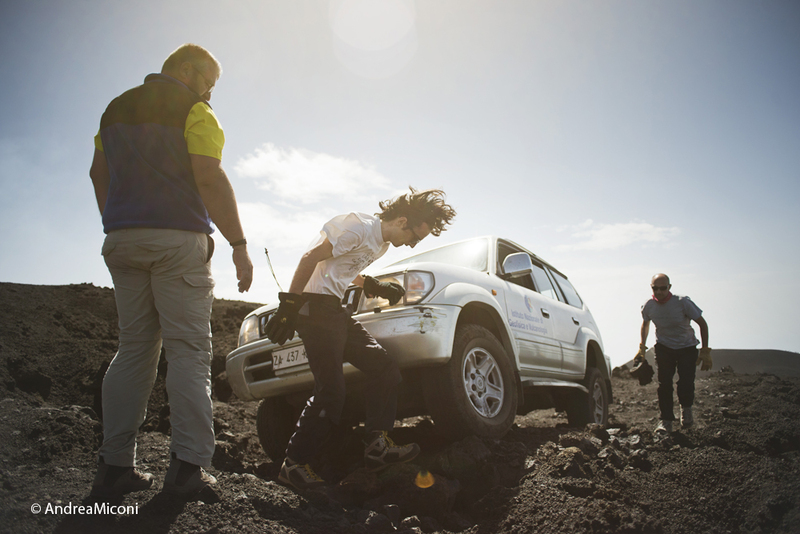 In the pictures: Pierre-Jean Gauthier, Senior Researcher at the Blaise Pascal University, Clermont-Ferrand; Luca Terray, student of the Geosciences Department of the ENS; Giuseppe Salerno, Senior Researcher at INGV; Alessandro La Spina, Researcher at INGV.